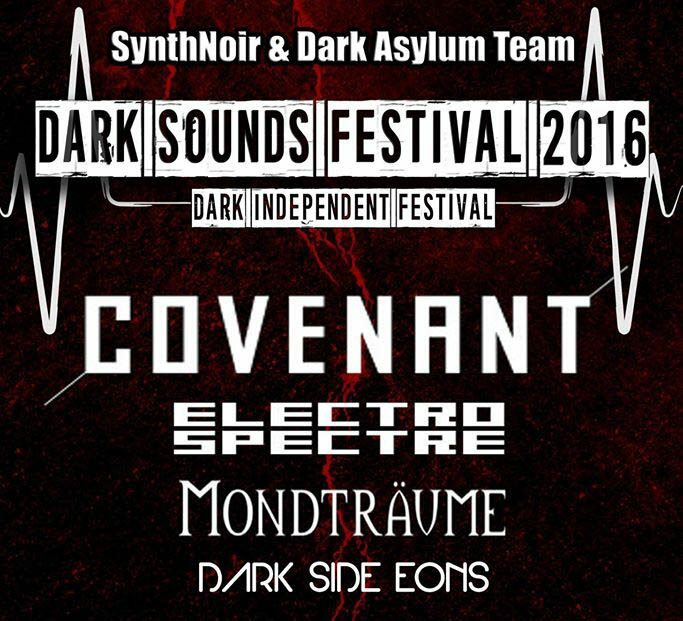 (By our Norwegian correspondent Jan Ronald Stange) Poznan, Poland was the host for the Dark Sounds Festival on June 25th. The event was held at Eskulap Akademickie Centrum Kultury, a great concert venue (panorama picture here). 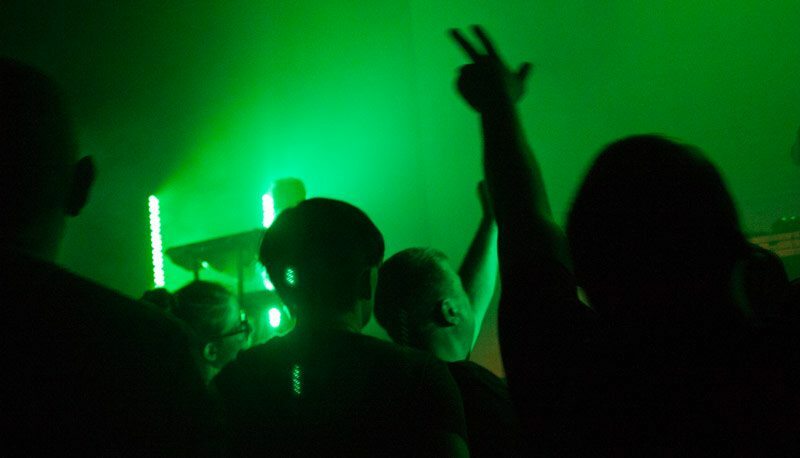 The evening started with DJ James (Grzegorz Długoszewski) spinning various 80’s synth pop/new romantic music, then the Polish electro industrial/wave duo Dark Side Eons started the concerts of the evening. 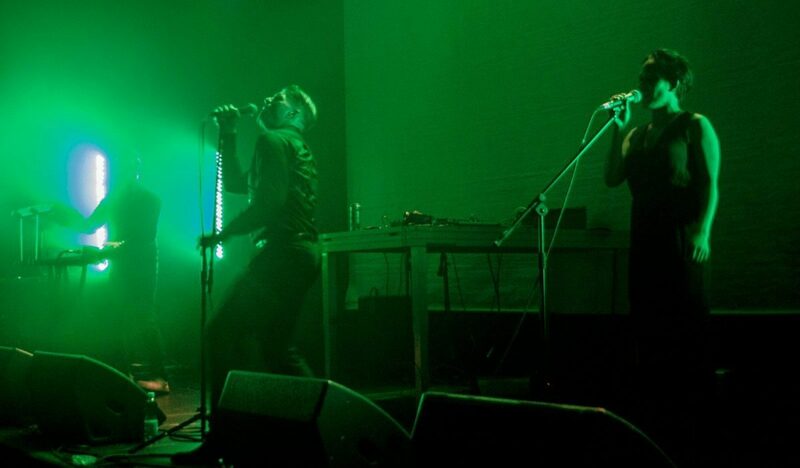 They were followed by the German/Spanish futurepop act Mondträume, and Damasius Venys was for the occasion joined on stage by back up member Daniele Jaeger due to the illness of band member Pikotto VondMond. Third act this evening was Electro Spectre from Norway, and all members of the band – Alexander Bjørneboe, Isak Rypdal and Marlina Bjørneboe – agreed this was probably their best concert to date. Great audience and atmosphere, their performance was top notch, and Polish fans have always treated them well. 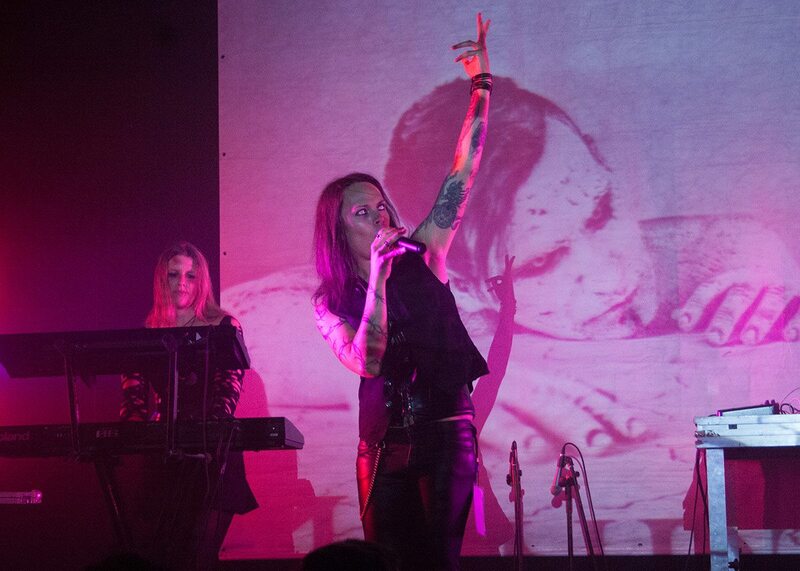 Big thanx goes to the organizer Anna Butkiewicz (SynthNoir Booking & Promotion) and her helpers; Aleksander Czichos (aka. 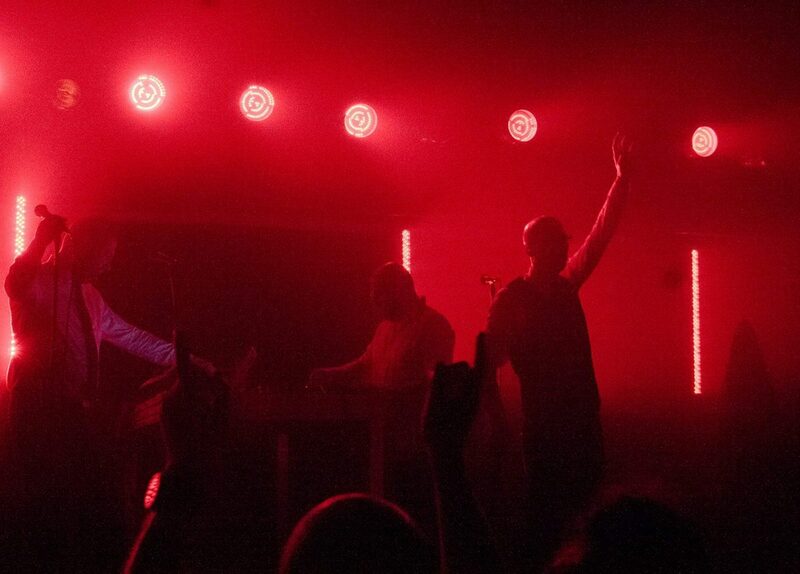 DJ Alex Hunter), Joachim Andrzejewski (aka. the language wiz kid!) and Krzysztof “Karis” Kaszkowiak (technician) for making this a great weekend for all of us – Norwegians, Swedes, Germans, Polish and others!